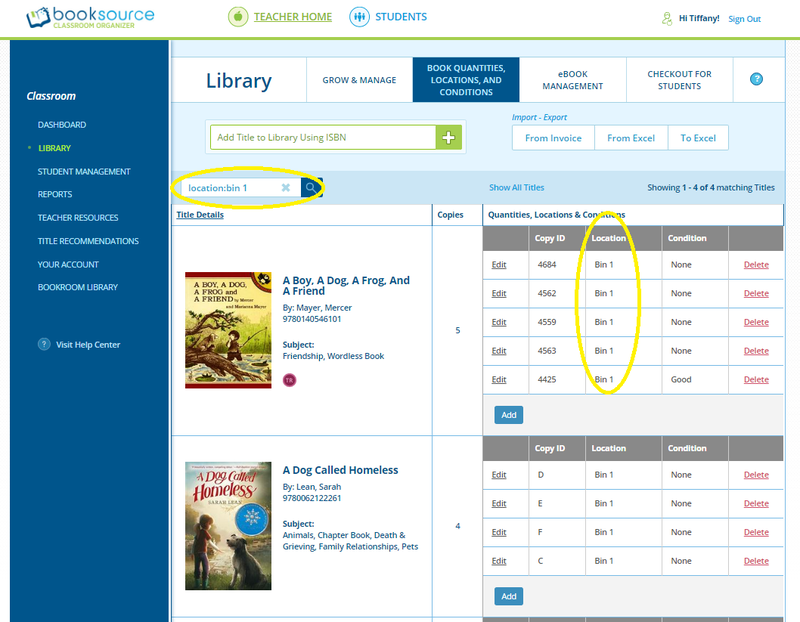 Copy ID, location and condition are searchable in your library. Just as used in Grow & Manage, search prefixes are necessary for precise and accurate results. The following are examples of how to search for copy ID, location and condition. 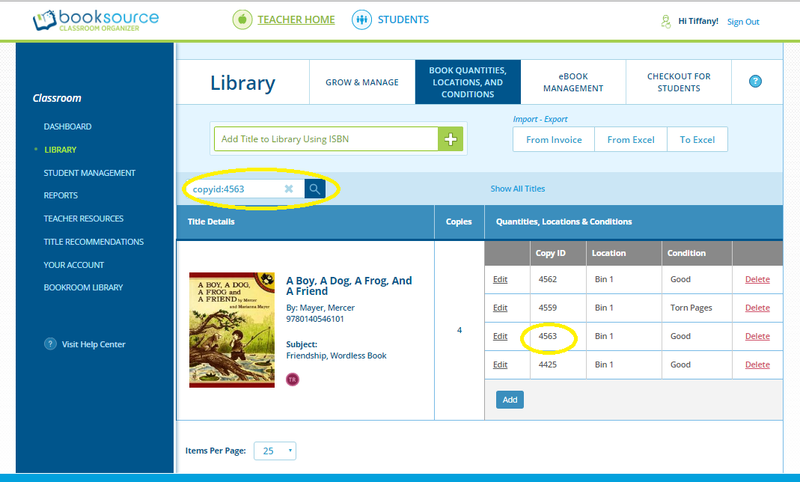 To search for a specific copy ID - "copyid:4563"
To find titles in a specific location - "location:bin 1"
To find titles of a certain condition - "condition:good"
Please note the library search is NOT case sensitive. 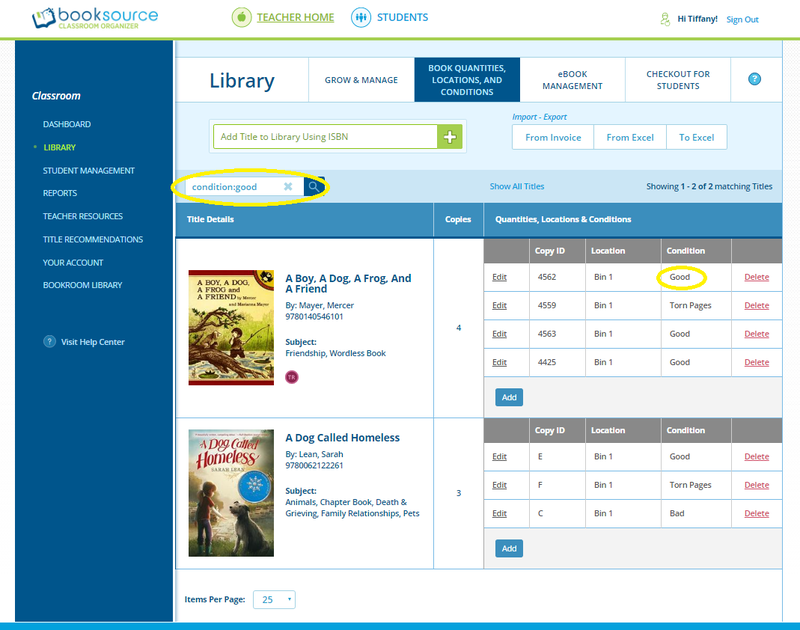 If you need further assistance our experts are available by phone (800-444-0435) or email (classroomorg@booksoure.com).